I bet that if someone would have told me 10 years ago when I first started blogging that I’d be featured in Costco Connection as a blogging expert, I would have said they were insane. But you see, that was before I logged my 10,000 hours as a blogger and learned a thing or two about cultivating online relationships, identifying bloggers who are genuine and talented and finding a home for me to share stories about the people and experiences in my life that I truly cherish. Plus…here’s the bonus video I shot for the online edition of the magazine! In the summer, I love making use of fresh, local corn but I have recently become obsessed with using corn nuts in all my dishes for an extra crunch. As always, I have added in seeds and dried fruit for extra flavor. Make a big batch and enjoy for a few meals! In a large bowl, combine all the ingredients and stir to combine. Whisk dressing until combined and pour on to salad. 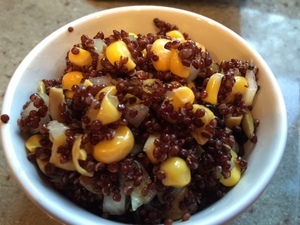 Stir until all of the quinoa and add-ins are coated. For more great recipes from Alma Schneider, visit her at Take Back the Kitchen. 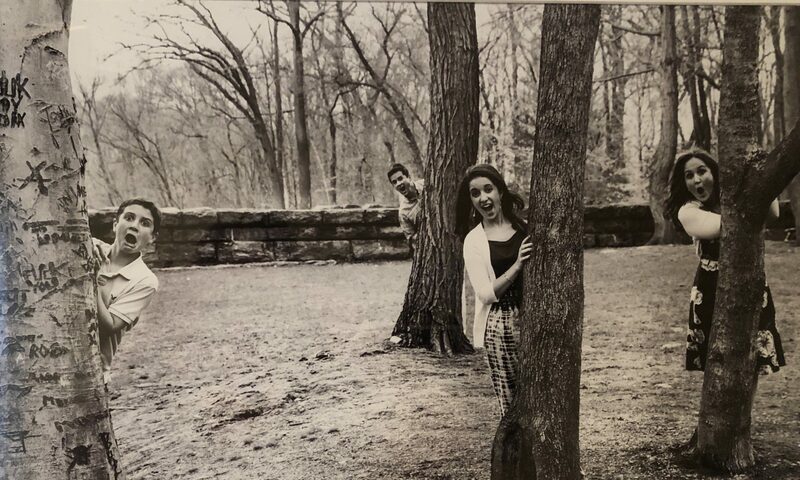 Keeping it Real with Beth & Darin — We Are Back! When it comes to commuting in New York City, I like to fancy myself as the ultimate navigation expert. I know how to traverse the streets of Manhattan via subway, bus and even pedicab. But when it comes to parking, you definitely need to up your game – especially if you decide to drive into the city during your workweek. 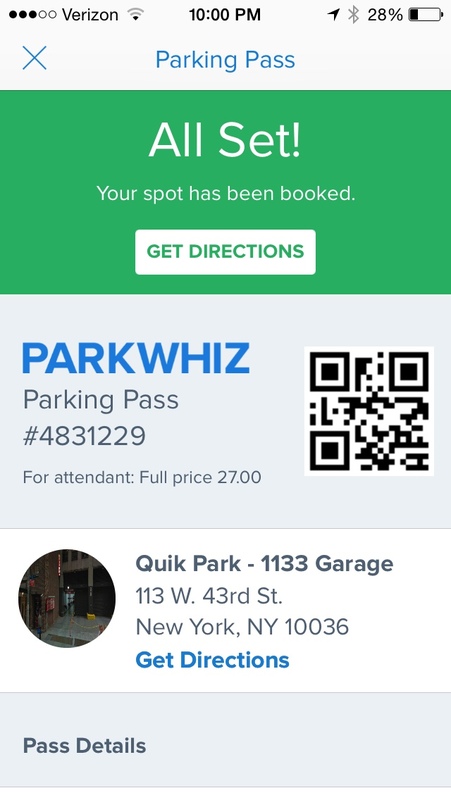 Thanks to the team at ParkWhiz, I was given the opportunity to try out their parking app and they were nice enough to give me a coupon to park free at a garage near my office. And that my friends, was music to my ears. Instead of hopping on a Metro North train this week I downloaded the ParkWhiz app, entered in the address of my office and dozens of parking options appeared on my iPhone screen. As I scanned through all the options, I managed to find a garage at a reasonable price (for those of you who don’t live in New York, finding a lot under $30 is pretty much like finding a pot of gold). Anyway, I locked in the rate and my coupon was saved on the app so that when it was time to retrieve my car, all I had to do was show it to the cashier and my spot was already paid for. That’s also a cool option – before you even arrive, you reserve your spot and pay for it in advance. That way, when you arrive at the lot, the parking attendant can’t turn you away or try to charge you a more expensive price because there’s some sporting event going on and they’ve decided to charge an additional $20 for parking. Disclosure: This post was sponsored by ParkWhiz. However all opinions, including my recent run in with a steel pole are entirely my own. Don’t Let Broken Bones Spoil Your Summer! Baseball, pool and bike. Baseball, pool and bike. As a kid, those were the only things on my mind when summer arrived, school let out and very little stood in my way of a great time. While the kids I grew up with had mixed summer interests, the one thing we all had in common was how much we loved going to the pool. It didn’t matter what you were doing before the pool and it didn’t matter after. All we knew was that going swimming at some point during the day was one of summer’s inalienable rights. I think that’s true for most kids today. Maybe not for all, but certainly most children think of water when they think of summer. As a kid, that always made the words summer and fun synonymous to me. And as far as I was concerned, there were only two possible things that could happen to a kid that could make summer miserable. The first was a summer school death sentence. Fortunately, I didn’t know too many kids ​who ​​met that fate. The second one, which unfortunately seemed way too common, was being stuck in a cast for the summer. Each year, those casts always seemed to find a way on to one my buddy’s arms at the most inopportune time imaginable. How each friend broke his arm was irrelevant. The only thing we all knew that was swimming for the summer was out of the question. Sure the unlucky friend could still hang out by the pool with all of the kids while they were swimming and still try to feel included. But their looks of despair knowing that they could not actually participate in the water activities are unforgettable. Kids of each generation always seem​ed​ to have it so much easier than kids of earlier generations in almost every aspect of life. And now that even applies to the poor kid in a cast for the summer. Those forlorn faces from the past could have been spared had there been an easy and safe way for kids to still go in the water while keeping their casts completely dry. Thanks to a company called DRYPro, a cast is no longer a summer prison ​sentence for kids or even adults for that matter. Manufactured by Dry Corp. DRYPro is a high quality surgical rubber sleeve that fits over and protects casts, bandages, and wounds from the water. It uses a patented vacuum to assure the most advanced waterproof protection, even when fully submerged in water. The rubber can be stretched by up to 600 percent without tearing and for those using one of the leg products, DRYPro uses a Non-Skid Grid on the soles to prevent slipping. I am hoping that neither me nor anyone in my family is going to have a need to use DRYPro products anytime soon, but I do have a couple on hand if the need arises. When I tried one on over my arm, it was amazing to see how well the rubber sealed against my skin with the help of the built in pump to take out any air. I fully submerged my arm into a tub of water and not a single drop ended up on the covered area of my arm. So it’s easy for me to see why DRYPro would be perfect for anyone who wants to swim, bathe or shower and needs to protect the respective body part during the water activity. There is no longer a reason for a cast to stand in the way of summer fun. Whether it’s a matter of going to a beach, waterpark, a pool or even a bath, water no longer has to be feared when getting something wet isn’t an option. The DRYPro products are suitable for just about anyone, ranging from kids young as two years old to adults as tall as 6’6”. Like insurance, DRYPro products are something that you hope you won’t need to use, but will be so glad that you have it if the time ever arises when you do indeed need it. If you or a family member has a need to keep something dry but doesn’t want to be deprived of water fun, then be sure to give DRYPro a try. It can be purchased at www.drycorp.com or in local dealers nationwide at www.drycorp.com/dealer-locator/. If you or your child has broken any bones this summer or has a need for a DRYPro cast, just visit their site and entire the code ROLEMOMMY and you’ll get a 15% off discount! Disclosure: This post was sponsored by DRYPro. However all opinions and nostalgic stories of my childhood are entirely my own. Getting away from it all for a week or two on vacation can offer you the perfect opportunity to unwind and to spend quality time with your family. The trouble is, if you’re not careful, your summer sojourn could end up costing you a small fortune. If you’re looking for budget holiday ideas this summer read on. The following suggestions could help you to enjoy a relaxing trip away from home without breaking the bank in the process. Camping trips have to be the ultimate cost-saving adventures. You can book a pitch at a campsite for a fraction of the price of getting a hotel room, and these holidays offer you and your brood a great chance to get close to nature. Wherever you choose to travel you shouldn’t struggle to keep your spending in check. Just make sure you select a campsite that has all the facilities your family will need, and plenty of activities nearby to keep you entertained. Working farms can also be inexpensive vacation options. These farm stay trips, which are sometimes called agritourism or agriturismo, depending on where you go, can be surprisingly inexpensive. Many of the hosts invite holidaymakers not only to boost their income, but also because they enjoy the sociable side to having guests to stay. This means the trips often represent a real bargain, with food and accommodation often provided for just a few hours of work every day. If you’re traveling with small children, look out for farms that offer you the chance to get stuck into activities like gathering eggs for breakfast, milking cows and feeding animals. Young kids usually can’t get enough of these hands-on activities. Another great option is to book a package holiday. These breaks can save you both money and hassle. Your vacation provider will arrange every aspect of your travel, from your flights and transfers to your accommodation. Depending on the type of trip you’re after, you might be well advised to book an all-inclusive package. These deals may seem a little more expensive initially, but bear in mind you’ll hardly have any costs to cover when you’re there. . Everything, from your meals to your drinks and snacks , will be provided, meaning you won’t have to worry about overspending while you’re away from home. For the very best deals on cheap package holidays, it helps to be flexible about when or where you go. It’s true that some family breaks can cost a fortune, but by following suggestions like these, you should be able to bag yourself a bargain. 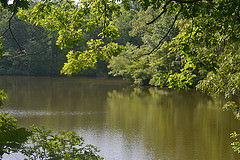 Image by vastateparksstaff used under the Creative Commons License. Disclosure: This sponsored guest post was written in collaboration with Falcon Holidays. My 10-year-old son Drew suffered a concussion this year. It was a freak accident when he was snowboarding – and he WAS wearing a helmet. This experience made me much more aware of the growing problem of concussions in youth sport. As I looked for ways to keep my children safe, one of the companies I learned about was Unequal Technologies. They have developed a new line of headgear to give players the confidence they need without affecting their style of play. Unequal protective sports gear uses patented military-grade materials that are 5x stronger than steel. They do not claim their products will prevent concussions, but rather reduce the risks as their technology absorbs and disperses the energy from common sports impacts. I was also impressed that to get Unequal protection you do not need to purchase new helmets. Instead they offer supplemental protection for baseball, softball, football, hockey, lacrosse and action sports helmets. Just insert the Unequal pad inside the helmet and it will absorb and disperse the impact. 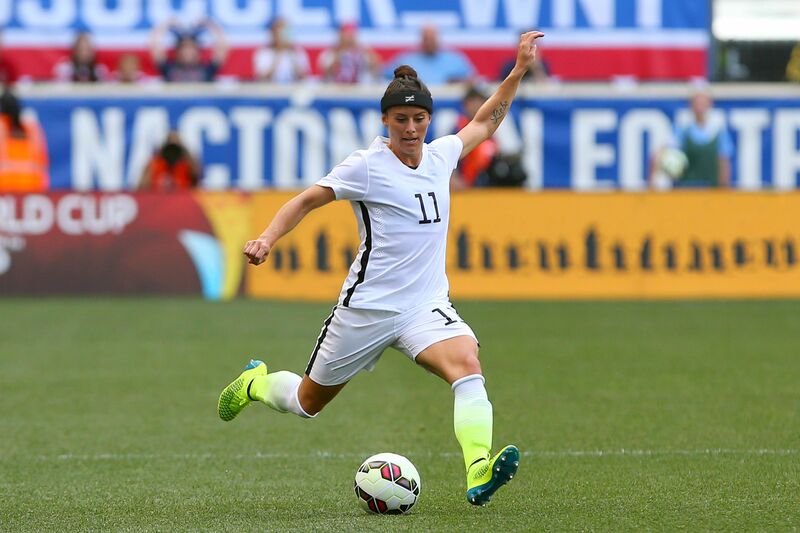 The one sport that Unequal has been very active in is soccer. 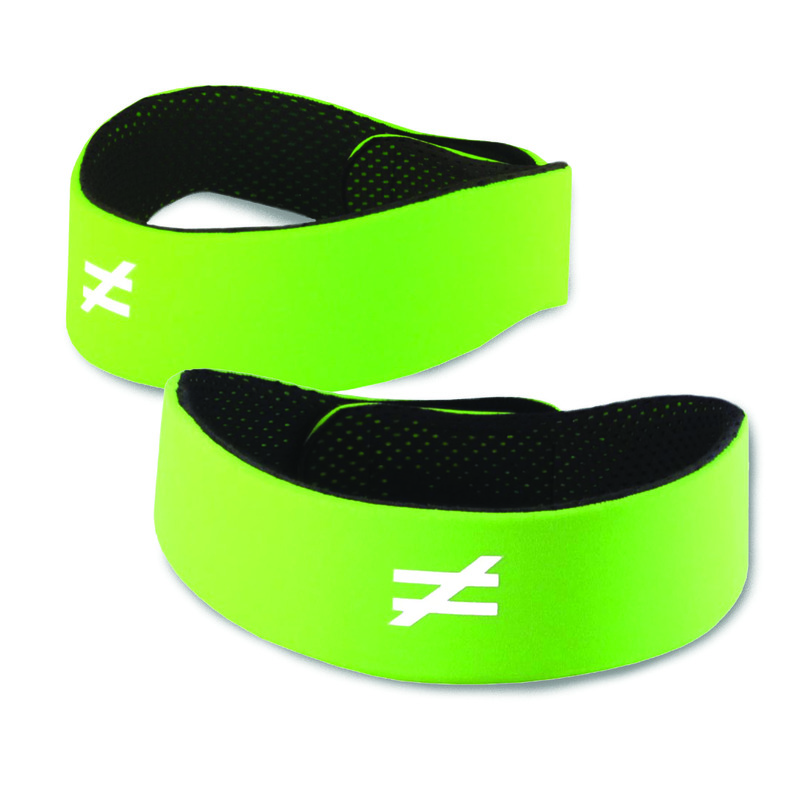 Since soccer players do not wear helmets, they created the Unequal Halo™ – a stylish headband that offers the same type of protection. For those of you with kids playing soccer, you might be interested to know that Ali Krieger, a defender on the U.S. Women’s National Soccer Team, has chosen to wear the Unequal Halo for the 2015 FIFA Women’s World Cup after suffering the second concussion of her career in April – less than two months before the start of the World Cup. Hopefully when other young soccer players see one of the best players in the world wearing this headband, they too will think it’s cool.